Rapper Jay-Z thinks R&B star Usher is in line for the King of Pop's throne. Jay-Z has an idea of who may be the next Michael Jackson, and he told Access Hollywood's Billy Bush about it backstage at Sunday night's Grammys. When asked what was his favorite moment of the night, Jay-Z hinted it could be one of the performers that took part in the tribute to the late King of Pop. "I thought the Michael Jackson tribute was fantastic and I thought Usher was doing a magnificent job," Jay-Z told Billy. "I think he's… He's one of the guys that's in line to, you know, fill those huge shoes." But while he thinks Usher has the talent, Jay-Z told Billy he didn't want to put any undue stress on his pal. "I don't wanna put that pressure on him, but I think he's one of the guy's that's in line to do that," Jay-Z added. When asked about his own wife's stunning performance at the Grammys – a performance that saw Beyonce singing a little Alanis Morisette ("You Oughta Know") and her own song ("If I Were A Boy"), Jay-Z said she is so impressive all the time, a person could get used to it. "Oh fantastic, but she… It's almost to a point where you just, you know, you're almost numb to it because she's so magnificent every single time out," he said. "They had a nice shot of you right after she performed and you were just proud," Billy said. "I'm a fan, you know, I'm a fan. 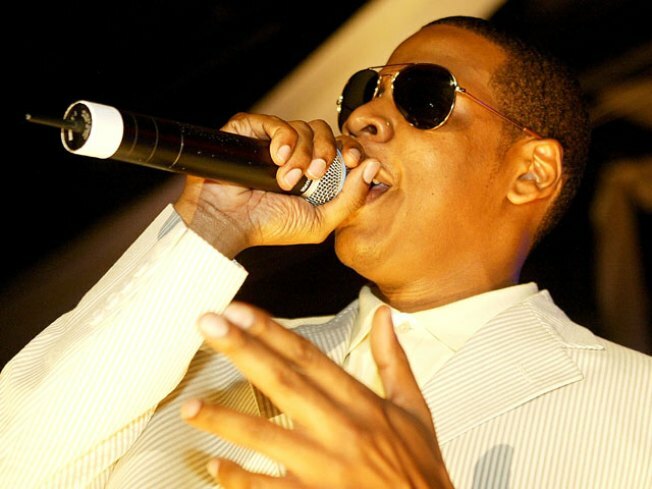 I'm here as a fan as well," Jay-Z added.